Combines the readability of giant-print type in an easy-to-carry size. 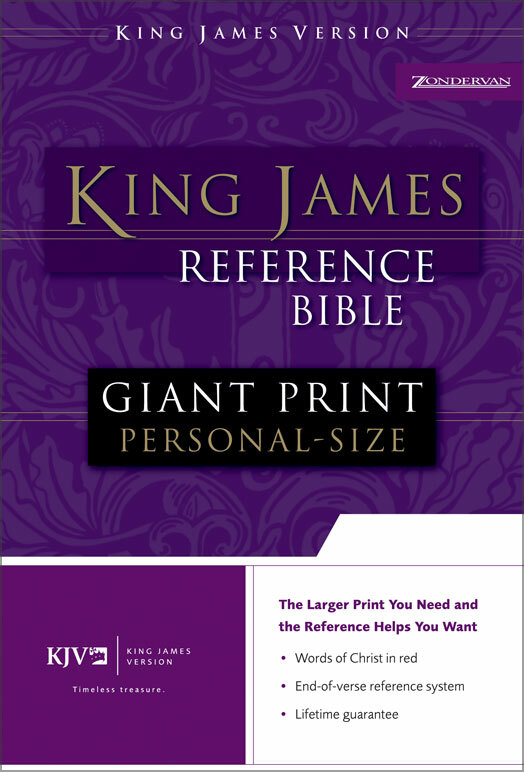 KJV Giant Print Personal Size Reference Bible: Black, Bonded Leather by Zondervan was published by Zondervan in February 2004 and is our 13668th best seller. The ISBN for KJV Giant Print Personal Size Reference Bible: Black, Bonded Leather is 9780310931966. Be the first to review KJV Giant Print Personal Size Reference Bible: Black, Bonded Leather! Got a question? No problem! Just click here to ask us about KJV Giant Print Personal Size Reference Bible: Black, Bonded Leather.